Now that we are starting to get a hint of fall, Heidi presented this great challenge to see out the summer days. 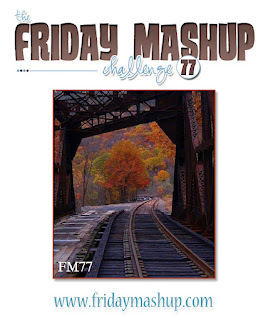 Be sure to drop by the Friday Mashup and see all the other lovely creations from the team. This was actually one of my cards for stamp club this month. After I made it for the challenge I just knew it would be a fun one to do with my ladies. I just love the Perfectly Preserved set! It has so many possibilities and can work for a lot of holidays and occasions. It's a pretty simple card, but I thought it was cute. Last week we got all dressed up to go to Target but after some fussing in the car and the threat of rain, we ended up coming back home. Good thing as it came a total downpour about 2 minutes after we got back in the house! I love this set like crazy... can't stop using it! Beautiful card. . .and baby! 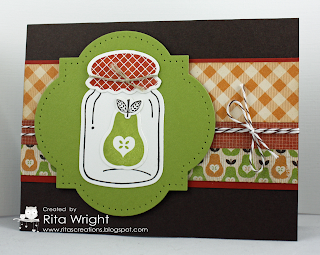 Your card is awesome, Rita! I love the layers of DSP, so subtle but such a nice detail. Your daughter is too cute for words! This card is gorgeous just like little Laila! :) Love that DSP and the way you tied the twine. 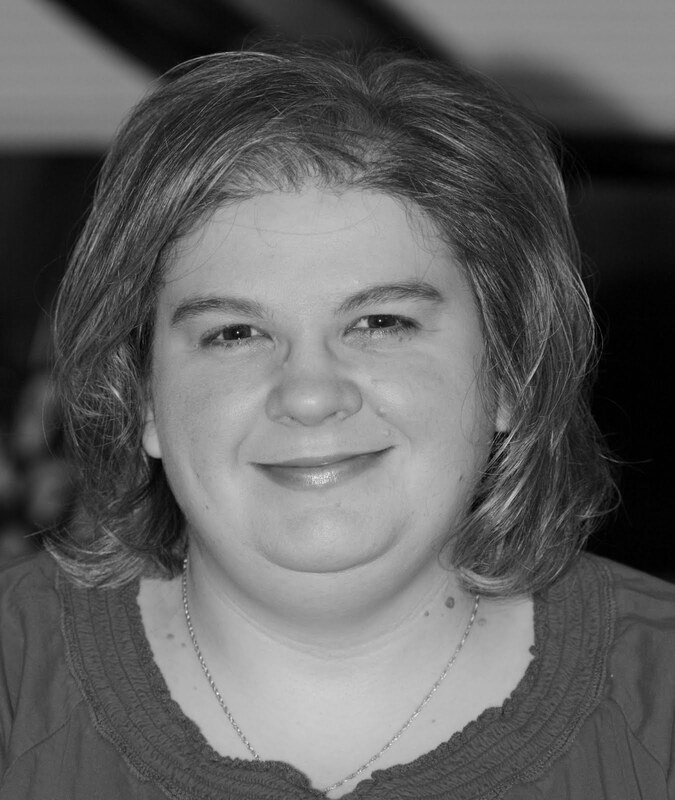 Thanks for sharing both the card and the picture of your darling daughter! Love your card Rita! Love the colors you used . Your daughter is soooo cute. What a great card Rita! It may be CAS but it really packs a visual punch, I love it! I'm finally ordering this set, I had to warm up to it and its dies. 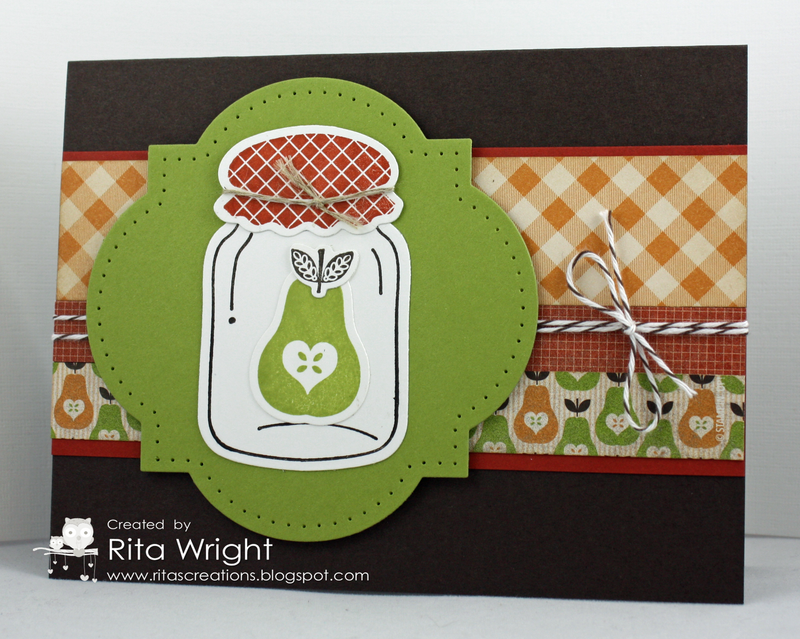 Great use of these colours with the matching dsp and stamping - love the way you put your cards together Rita!